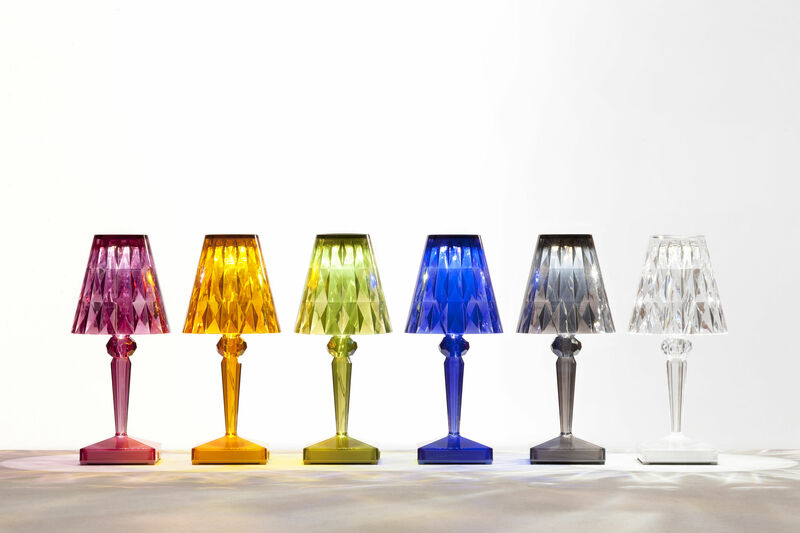 A chic small wireless lamp by Kartell. 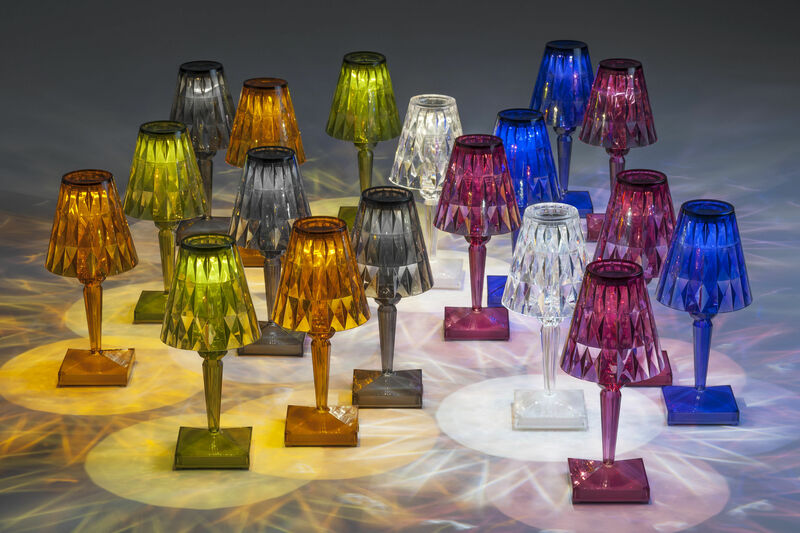 This precious and refined LED battery lamp looks like it was sculpted from a single piece of crystal. 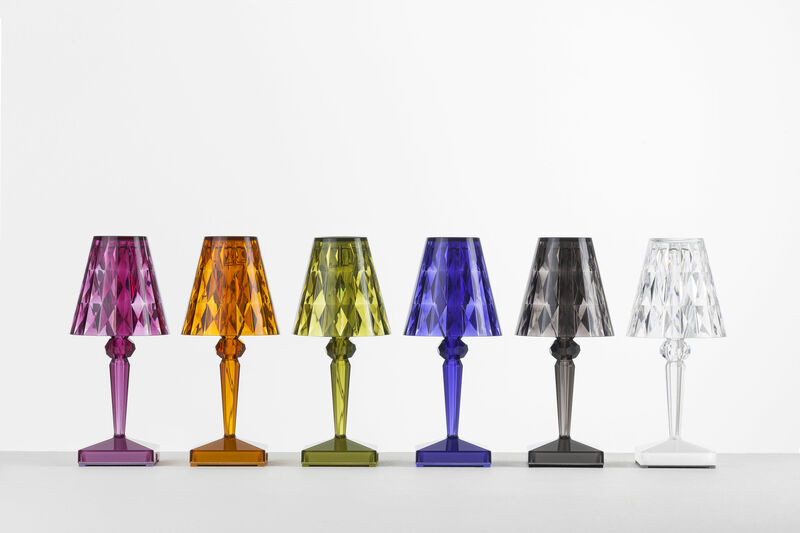 Inspired by an Art Déco movement, the facet shade sits on a precisely developed frame. The lamp is to be recharged through a USB port and has 6 hours autonomy (USB cable included). It is waterproof, and thus suitable for both indoor and outdoor use. Easy transportable, this lamp can be moved anywhere as you desire. 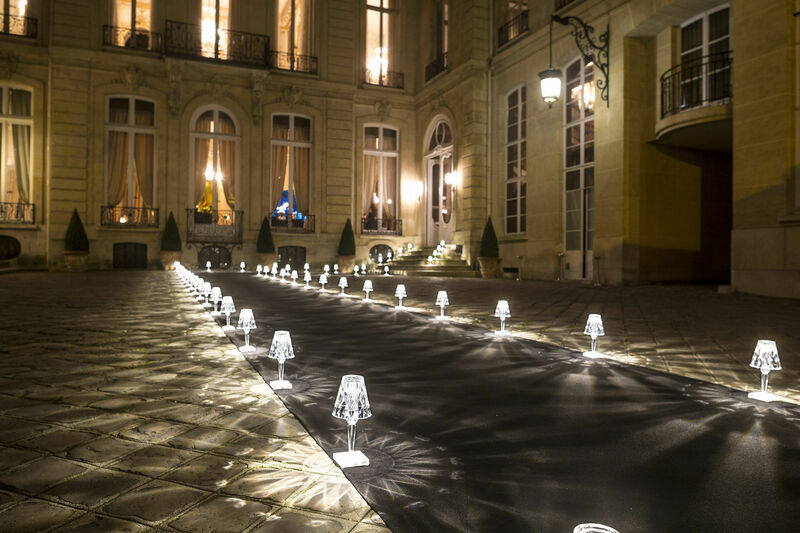 Whether on a table during a meal or an aperitif, whether inside in a dining room our outside on a terrace, it will create a gentle, sensual light. Switch on/off button on the base.